Here at Go Auto Outlet, regardless of whether you’re visiting our Edmonton West or Edmonton South location, you can always find the best pre-owned vehicles in Alberta. And now there’s two different ways to get the best car, truck, or SUV for a price you’ll love. 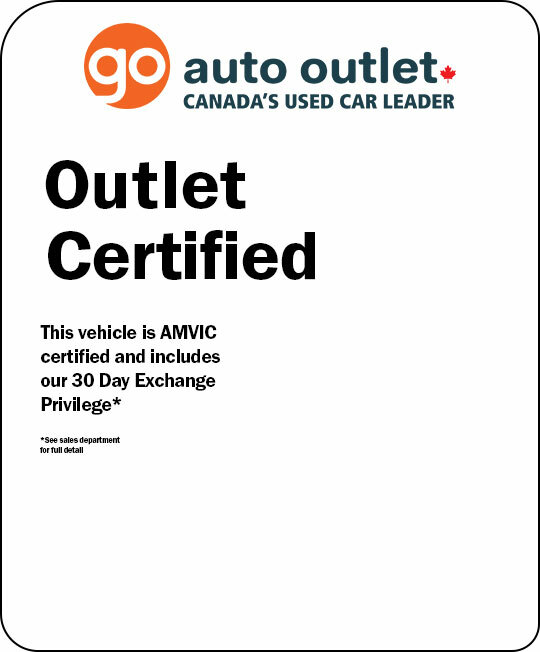 Outlet Certified Vehicles may cost a little bit more, but that’s because they are all AMVIC (Alberta Motor Vehicle Industry Council) certified to ensure they are of the highest quality and will provide you with reliable transportation for years to come. Every one of these vehicles also come standard with our 30-day Exchange Privilege, which allows you to to return your vehicle if it suffers from major mechanical problems within the first 30 day or 1,700kms! That way you have peace of mind, knowing that you’re protected should your dream car turn out to be a nightmare instead. 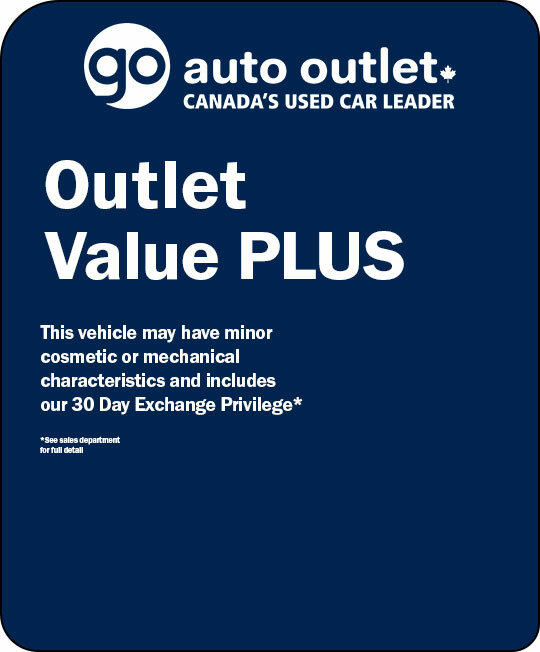 Outlet Value Plus vehicles are are the perfect balance of budget and quality. These vehicles may have minor cosmetic or mechanical characteristics, but rest assured they’ve still got plenty of life left in them. Plus, for added security, all of these vehicles also come equipped with our 30-day Exchange Privilege to ensure that purchasing your next vehicle remains a stress-free experience. Outlet Value vehicles are your best choice for budget transportation. Every vehicle comes with a full inspection report, so you know exactly what condition the vehicle is in. This is a greaet option for frugal customers who prefer to save on cars and spend their money elsewhere. 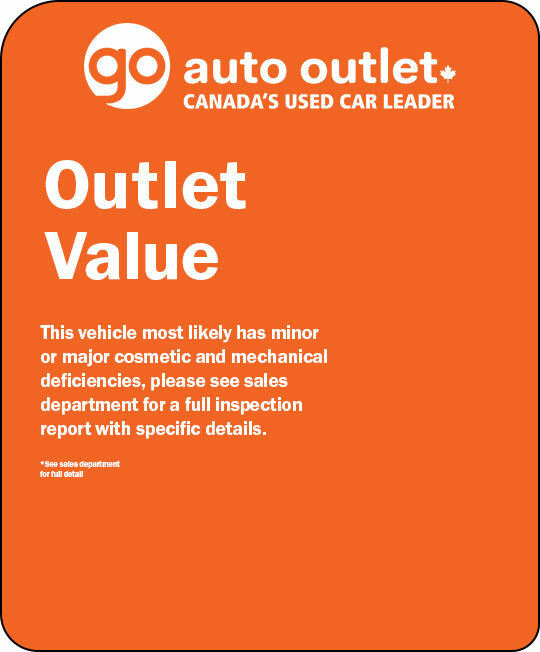 If you need an inexpensive car today, look no further that Go Auto Outlet’s Value picks. If you’re looking for a used vehicle with the best budget prices in the market, then our Value Vehicles here at Go Auto Outlet are for you! Despite minor cosmetic or mechanical characteristics, these vehicles still have lots of life in them and can still get you from point A-to-B. For additional reassurance, all our Value Vehicles come equipped with our 30-day Exchange Privilege to keep your next used vehicle purchase stress-free. All of our Certified Used Vehicles here at Go Auto Outlet are AMVIC (Alberta Motor Vehicle Industry Council) certified, giving you the highest quality car that’s both reliable and durable for the long-term. In addition, each vehicle comes with our 30-day Exchange Privilege, so you can return your vehicle if it suffers from major mechanical problems within the first 30 days or 1,700 kms. Go Auto Outlet works with numerous financial institutions to help you find the best interest rates possible for your vehicle, regardless of your credit standing. We also offer convenient in-house financing, where we regularly check in with credit rating suppliers in Canada to get you a better credit score. In addition, we offer great insurance rates for your vehicle with Go Insurance. Here at Go Auto, we’re always happy to help answer your questions and address your concerns! Feel free to call us at 780-612-6122, send us an email, or even chat live with us at GoAuto.ca. We’re available 24/7, so contact us anytime!